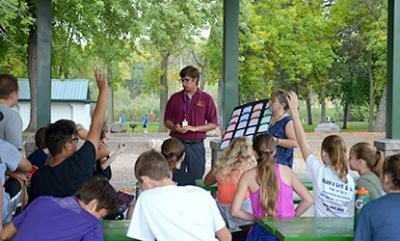 Glencoe-Silver Lake (GSL) seventh-graders attended a retreat at Oak Leaf Park Friday, Sept. 22. The retreat is an opportunity for seventh-grade students to bond with one another and develop team-working skills. Teacher Eric Anderson plays a competitive game of Jeopardy with students.